Becoming an Official Jersey Manufacturer is a simple, no-cost process for any jersey manufacturer – simply e-mail ncpa@college-paintball.com for details. Presently, HK Army, Raza, and Social Paintball are all certified Official Jersey Manufacturers. Any additional companies will be updated on the NCPA Jersey Requirements page. The National Collegiate Paintball Association is an all-volunteer, non-profit organization created by college players for college players. The goal of the NCPA is to promote the positive aspects of the sport in an intercollegiate manner. The NCPA consists of two distinct classes which competes separately across the United States. 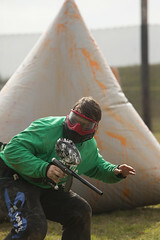 The College Paintball National Championships has been televised in 2005, 2006 and 2007, 2008, 2009 and 2010, and wll be televised in 2011 as well. 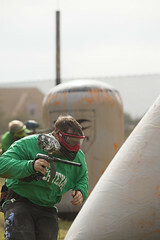 The NCPA is the only place in paintball where talented players are guaranteed the opportunity to be televised athletes.